Razer Phone is one of those devices that appeared out of nowhere and conquered the hearts of a lot of people. 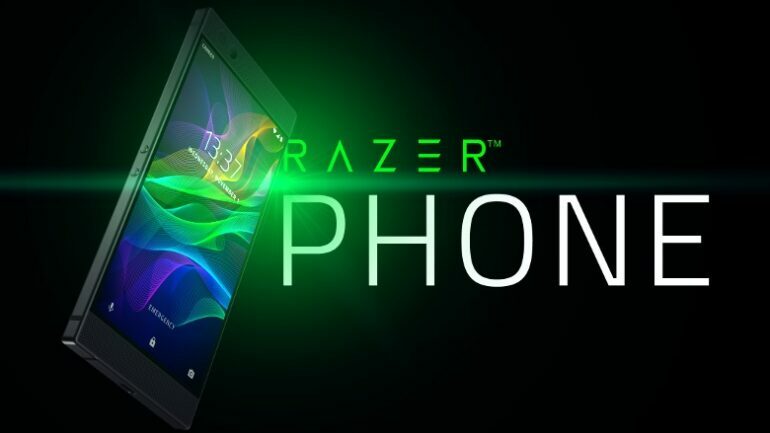 The reason why Razer Phone is very popular is obviously its brand name, but the unit on its own does have some really nifty features and ideas embedded in it. The thing you want to keep in mind is that this is a gaming and multimedia unit first and foremost. Calling and texting are great here, but the focus is multimedia consumption on the go. That’s why they added a 4000 mAh battery. Adding in so much power into your phone is important, especially if you want to play for a long time. The 8 GB of RAM may not be necessary unless you play some very intense games at the highest setting, but you do get a very good usage experience for your device and that’s always very nice to have as a whole. Also, the Razer Phone has 2 x 12 MP cameras and the results that they deliver a really good here. The attention to detail is great for both cameras and they focus very quickly too. So yes, the entire experience is quite interesting and the value can be quite handy because of that. The CPU is a Snapdragon 835. This type of CPU is very good and it works great in games. While they could have added the newer version, this one is great too and it has plenty of unique features that everyone can access and enjoy. The 5.72” display does a very good job at offering the video quality you need. And the 120 Hz display is by far one of the coolest things to have on a mobile device. It makes the unit feel faster and more responsive. Considering the stuff that you do on a day to day basis, the Razer Phone can very well be the unit you carry around all the time. The 64 GB of storage is pretty good for most people, so there’s nothing to complain about here. Of course some of us would like to have more storage, but in the end you should be ok with the stuff you get. And there are plenty of great features here, which is exactly what makes the experience so rewarding. Razer Phone offers some amazing Dolby Digital speakers. They are the loudest speakers on a mobile device and you will be extremely impressed with their features and unique benefits. The attention to detail offered here is quite astonishing and you will be very happy with the great quality you can obtain this way. It’s a unique experience for sure, and one that you will enjoy quite a lot as a fan of phones in general. There’s no IP67 rating and the camera performance should be better, but the Razer Phone looks great and it has some nice redeeming qualities. The 120 Hz display is unique, and the battery life is very good too. While it can be improved, Razer Phone is a great product and one that everyone will enjoy!